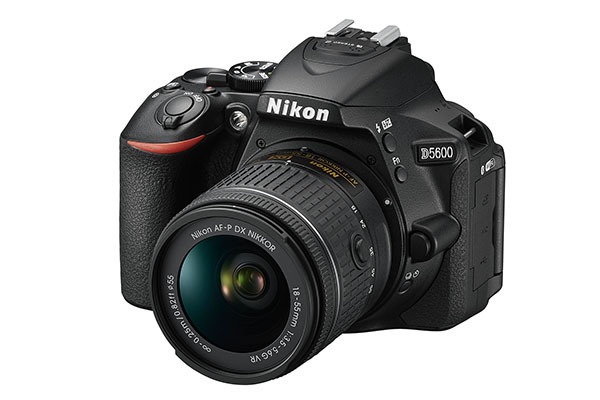 In a surprise pre-Christmas announcement, Nikon has taken the wraps off of its latest DSLR, the entry-level D5600. Touted as a smartphone upgrade for creative types bitten by the photography bug, the D5600 also boasts a sizeable 24.2MP resolution, Wi-Fi capability and a new Night Landscape mode. 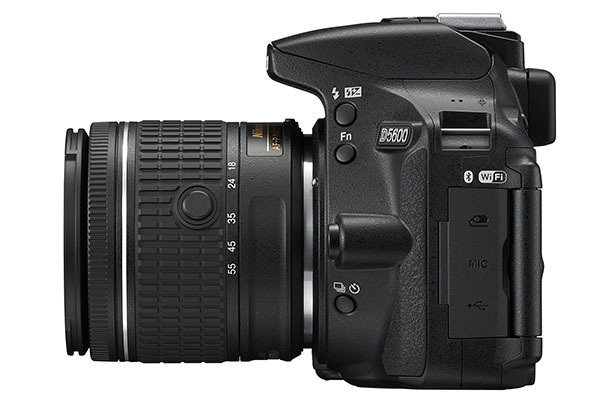 Looking at the price and spec, the D5600 will sit just above the D3400 in Nikon’s current DX line-up of DSLR, and appears to be more of a subtle evolution than a radical revolution in terms of innovations. Image quality is everything and the D5600’s large 24.2MP DX-format image sensor sharply captures fine textures and renders photos and movies with superbly crisp detail. An ISO range of 100-25600, and an expanded ISO sensitivity of 6400 in Night Landscape mode, ensures low-light scenes and difficult lighting situations are handled with ease. Thanks to Nikon’s SnapBridge, users can automatically sync photos to a smart device, as they shoot, and then share the inspiring results right there in the moment. With the D5600, SnapBridge also makes it possible to use the connected smart device to shoot remotely via the camera’s built-in Wi-Fi capability. 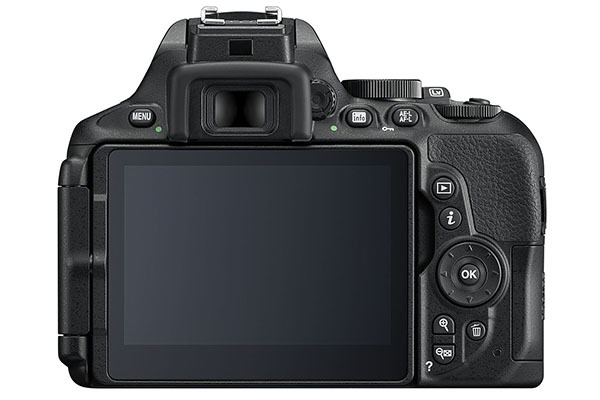 During viewfinder shooting, the refined touch Fn function offers an intuitive alternative to using the command dial or multi-selector: now photographers can operate the Auto Sensitivity control, as well as selecting the focus point or adjusting other important settings, via the large touchscreen. 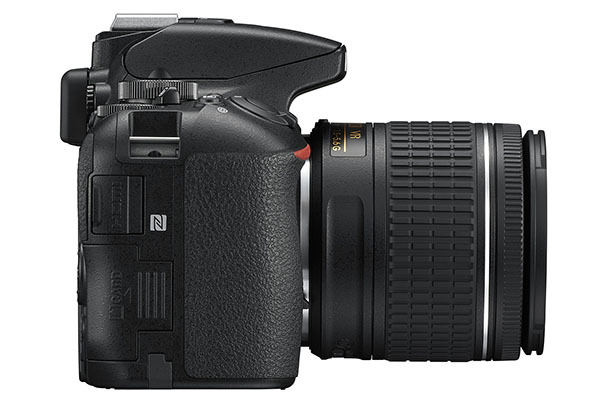 And a frame advance bar, inherited from Nikon’s professional D5 and D500 cameras, makes it possible to quickly scroll through images in playback mode. For movie shooters, the new Time-Lapse Movie function (inherited from Nikon’s high-end DSLRs) makes it simple to transform slow-moving scenes into dramatic high-speed sequences. The large 24.2MP DX-format sensor, wide ISO range of 100-25600, and EXPEED 4 image-processing engine combine to deliver stunning images and incredible detail—even in low light. Utilises Bluetooth low energy technology to let the D5600 maintain a constant, low-power link with a smartphone or tablet. Sync and share DSLR quality images on the go via the Bluetooth connection. Easily transfer movies, or use a smart device to shoot remotely via the camera’s built-in Wi-Fi capability. Large 8.1 cm (3.2 in) LCD with wide viewing-angle and high 1,037k-dot resolution. Miss nothing thanks to the razor-sharp 39-point autofocus system with nine cross-type sensors in the centre, and up to 5fps continuous shooting. Record smooth, finely-detailed Full HD video clips at frame rates of up to 50p/60p. Body weighs just 415 g (approximately) and boasts a deep grip for a stable, exceptionally comfortable hold. Compatible with a wide range of Nikkor lenses and Nikon Speedlights, as well as Nikon’s ME-1 stereo microphone and the ME-W1 Wireless Microphone. The Nikon D5600 has an RRP of £799.99/€949 for the AF-P 18-55 VR Kit and £989.99/€1,179 for the AF-S 18-140 VR Kit. Sales start on 24 November 2016.